Young Adult Archives - Joelle Delbourgo Associates, Inc. The Yearbook is Carol Masciola’s first published novel. The idea for the book came to her while leafing through her grandmother’s 1924 Charleston (W.Va) High School annual. Carol grew up in Vermilion, Ohio, an historic town on the banks of Lake Erie, with four sisters and a lot of woods and fields and freedom to wander around and daydream. She graduated from nearby Oberlin College with a degree in liberal arts and moved to Southern California, where she worked as a newspaper reporter for twelve years, learning journalism on the job but feeling restless. 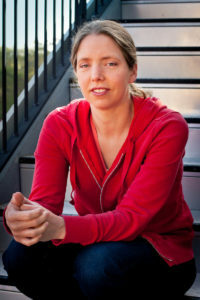 At the Orange County Register, she won the PEN/West Literary Award in Journalism for a weeklong serial about a 77-year-old old man trying to take care of a baby by himself. Shortly after, she left the paper to marry a foreign correspondent from Spain who was covering Central America for Reuters News Service. 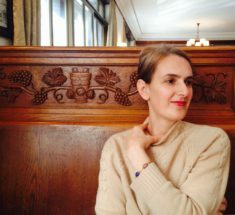 Since January of 2000, she has lived in Guatemala, Colombia, Jordan, London, Turkey, Spain and now lives in Geneva, Switzerland with her husband and their two sons. Carol began to write fiction after leaving journalism, first focusing on learning the screenwriting craft. She has completed six feature screenplays in genres from black comedy to Alpine ghost story. Learn more about Carol and THE YEARBOOK on the web at www.theyearbook.com. Follow Carol on Twitter at @CarolMasciola and check out her Facebook page here. 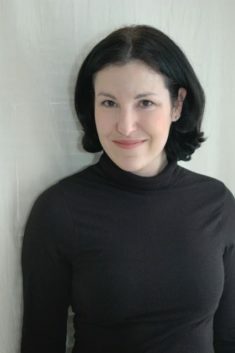 A native New Yorker, Melissa Robin Schorr grew up loving to read, write in her diaries, and dream of someday publishing books of her own. After graduating from the Bronx High School of Science, she studied journalism at Northwestern University to purse writing full-time for newspapers and magazines. In the course of her journalism career, she stalked celebrities for People magazine, visited a nudist colony for the Las Vegas Sun, and edited a matchmaking column for the Boston Globe Sunday Magazine. In 1996, she wrote an essay for GQ magazine titled “The Joy of Goys” about her propensity for dating non-Jewish men. That article got her the attention of a literary agent, and ultimately, a book deal with Hyperion to write her first young adult novel, “GOY CRAZY,” a romantic comedy about interfaith dating described as “droll and sharp,” by Kirkus Reviews. 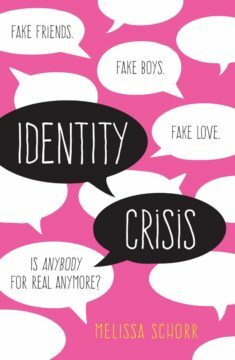 Digging back into her childhood diaries, she contributed an essay on being bullied in middle school for the anthology “DEAR BULLY: 70 Authors Tell their Stories.” She expands upon the topic in her upcoming book IDENTITY CRISIS (Merit Press, January 2016), this time, instead of delving into her own past, tackling the experience of modern-day cyberbullying in the high-tech age. She currently lives outside Boston with her two daughters, her husband and her terrier, Bailey. Connect with her at her website melissaschorr.com, or her Facebook fan page, or on Twitter @MelissaSchorr. 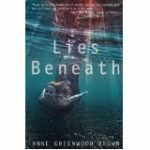 In The Twisted Life, YA authors Anne Greenwood Brown (Lies Beneath Trilogy, Delacorte) and Heather Anastasiu (The Glitch Trilogy, St. Martins) put their devious minds together to create a YA Suspense that’s part Mean Girls, part Gone Girl, and all Twisted. Lauren DeSanto never cared about the fame. The same could not be said for her best friend and bandmate Cadence Mulligan, who spent all her time promoting their music on YouTube. Even when their videos went viral, all Lauren cared about was their lyrics and their friendship. But when an infection paralyzed Lauren’s vocal cords and she could no longer sing, Cadence had no choice but to go solo. Cadence’s star is rising. That is, until she goes missing after playing a small show at the local coffee shop where Lauren works. All eyes turn to Lauren and suspicion turns to accusations when blood evidence is found on Lauren’s work shirt and motive is found in a terrible fight between the two former friends over Cadence’s boyfriend. And then there’s Jude Williams. He’s recently moved back to town with a vendetta against both girls for wrongs not long past. The problem is, as much as he tries to hate Lauren, he finds himself feeling sympathetic when the town and then the national media condemn her. After all, he knows what it’s like to be accused. It was Lauren’s false accusations that ruined his life. A young-adult debut novel about a troubled teenage girl who falls asleep in the school library and wakes up in the 1920’s. Just as she begins to shed her past and starts to believe she might have found a real home and true happiness (and love), she is snapped back to her hopeless present day where she’s on the run from police for truancy and theft. In short order, she’s locked away in a psychiatric hospital where the staff assumes she’s suffering from her mother’s illness and an ambitious, manipulative psychologist is eager to write a book about Lola’s “case”. Amid a snowy winter of imprisonment and medication, Lola is about to surrender to the belief that she really is insane when an unexpected encounter fills her with hope. Lola vows to use every juvenile-delinquent skill in her arsenal to escape from the hospital and cross back into the past by any means, at any cost. The Yearbook will take readers on a fast-moving, suspenseful, coming-of-age journey to the Roaring Twenties that will keep them guessing — is it the boundaries of time Lola Lundy has crossed, or the boundaries of sanity? Sane or otherwise, Lola embodies questions about identity and belonging that pervade youth culture: Who do I really want to be? How do I go about finding the life, the love, the place, that’s meant for me? Anne Greenwood Brown grew up sailing the Apostle Islands on Lake Superior, leaning over the rail and wondering, with a lake that big, that ancient, what amazing thing might flash by. What happens when a family of murderous mermaids seeks revenge? Now she knows. Lies Beneath is her first novel.